In the mid to late 1950’s, when Bill Haley, Elvis Presley and Little Richard had all hit the airwaves, just about every neighbourhood gang of kids formed a basement band of some kind or other. But, in one particular neigbourhood in Clarkson, Ontario, a talented group of young men got together to form one of Canada’s premier bands of the 60’s. 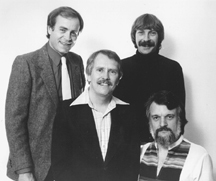 The original group was comprised of Graeme Box (lead guitar), Ron Guenther (drums) and Noel Campbell (piano). There were others too, but they came and went. Graeme met Bill Dureen at art school in Toronto, and Bill joined in as well. 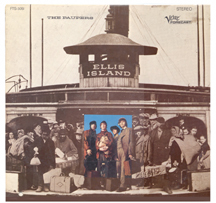 At first they named themselves “The Beachcombers”. Under that name the boys played exactly two gigs. The first one was for five dollars. And, the second one brought in a whopping 10 bucks! Then, influenced by Ronnie Hawkins and the Hawks, they changed their name to “The Nighthawks”. Payments per gig immediately doubled. They remained “The Nighthawks” until 1964 when Noel decided to leave the band. 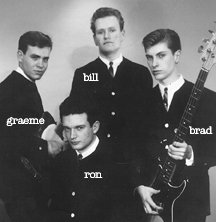 Bill switched to keyboards at that time and Noel's younger brother Brad Campbell became their bass player. They again renamed the band, calling themselves "The Shamokins" but were advised by radio personalities to change it yet again. Finally, Graeme's father Keith and Jack London named the band THE LAST WORDS. Jack London (formerly of “The Sparrows”) became the boy’s manager. They joined the union and immediately entered the studio to record. Their first efforts were two original pieces. Side one was “The Laugh’s On Me” and side two was “She’ll Know How”. That secured them some steady employment for a while, most notably at the El Patio Coffee House in Yorkville Village in Toronto. But, the record didn’t get very much airplay. So, back into the studio they went. On the Columbia label, THE LAST WORDS recorded “I Symbolize You”. It took off and reached number 2 on the Canadian charts. They traveled throughout Ontario playing all their songs, but “I Symbolize You” was the most requested and was responsible for getting them a following and a fan base. It opened the door to a wider range of bookings. When they finally began to play in bigger venues, people took notice. While playing Maple Leaf Gardens, several U.S. producers were impressed but their new management failed to capitalize on any opportunities. Unfortunately, the day they were set to leave only three visas were issued. The tour was cancelled. It seemed success was not to be. Their management people had let them down. Disillusioned, Bill decided to leave the band. After their last profession engagement on July 1, 1967, they officially disbanded. Brad Campbell went on to play for “The Paupers” with Skip Prokop (Lighthouse). Playing with them led him to the States where he auditioned for Janis Joplin. She instructed her agent Albert Grossman to hire Brad and he joined her Kosmic Blues band in late 1968. Brad also became part of Full Tilt Boogie and toured with Janis playing some of the biggest venues in the world. 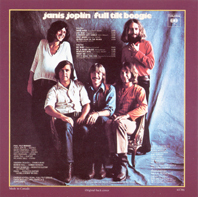 His outstanding bass playing can be heard on Janis’ swan-song album – Pearl. He remained with her until her death. THE LAST WORDS regrouped in the late 80’s playing smaller gigs but glad to be enjoying each others company again and sharing their love of music. Today, they are still friends. No, more than that. They are brothers.